With Sunday hitting us with daylight savings time, our schedule felt entirely off. When lunchtime rolled around, I realized it was rather late. I wanted something that could feed my entire family that was something a little different and would make for an early dinner. After digging in my refridgerator, I realized I had the makings for pizza, but I didn’t feel like making a homemade crust. When I noticed I also had a can of biscuits, I knew I’d be able to find a recipe that used the biscuits instead. After just a minute of searching, I found this recipe from Pillsbury and knew it would be perfect for my pizza loving family. 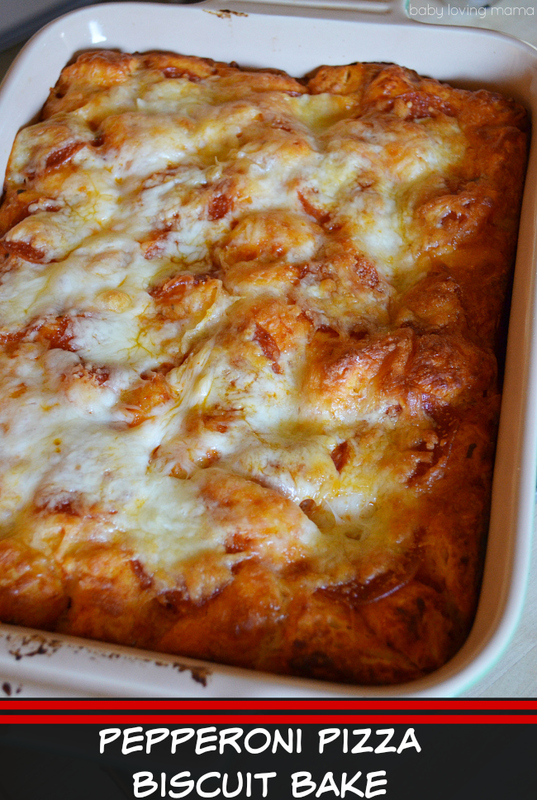 I did put a few tweaks on this Pepperoni Pizza Biscuit Bake for my family’s preferences. Preheat oven to 375 degrees. Spray 9"x13" baking pan with cooking spray. Cut biscuits into eight pieces. 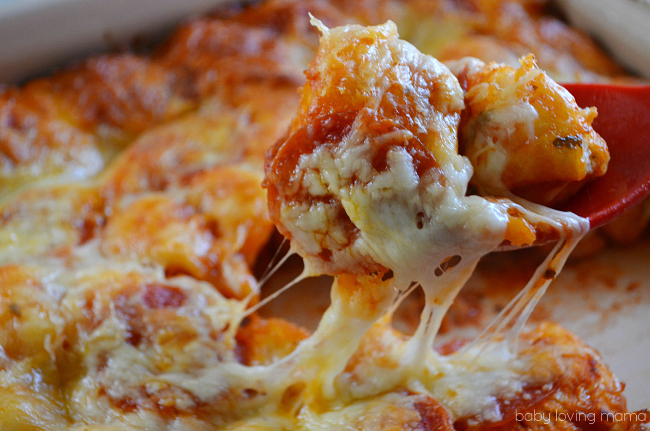 In medium bowl, toss with 1 cup of pizza sauce, 1 cup of the mozzarella cheese and Parmesan cheese. 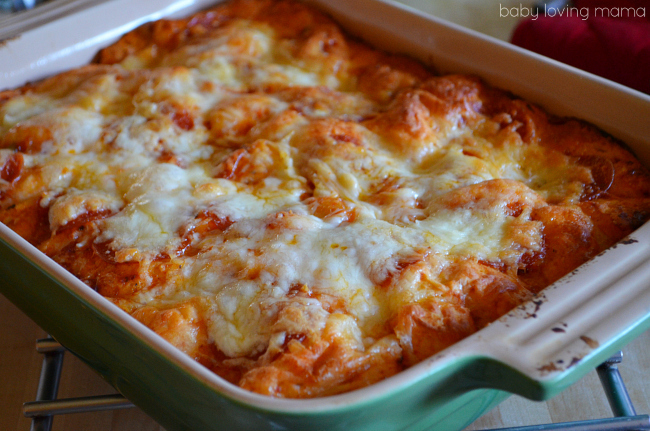 Pour into baking pan and sprinkle remaining cheese on top. Bake for 20 minutes or until cheese is fully melted and biscuits are a golden brown. Serving with remaining pizza warmed for dipping. Pepperoni was a simple choice, but try other toppings such as mushrooms, canadian bacon or italian sausage. The possibilities are endless! This one dish meal is quick and easy. It can be put together in the time it takes for your oven to preheat. I got ours on the table in less than 30 minutes from start to finish. What a perfect weeknight dinner solution with minimal cleanup. Serve it with your favorite salad and you are good to go! 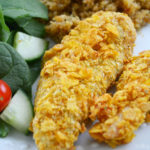 Have you tried this recipe or a similar one? What did your family think of this meal? 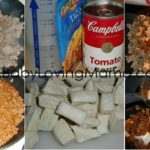 This is my kid of meal, something my kids would like and easy too. Do I have to flatten the biscuits at all of just put them in there like they are? My kids would love this. I will be making this for them for sure! Thanks for sharing it on Show Me Saturday! Oh this looks so good! 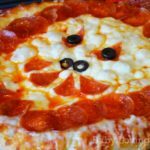 We love pizza and I am always looking for new things to make that Carter will eat too! 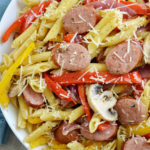 This looks like a fabulous easy weeknight meal! 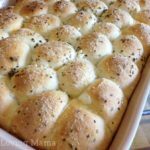 I am featuring your Biscuit Bake this week, at Simple Supper Tuesday. We hope you can join us again, Monday night starting at 8pm EST. Looks yummy! Thanks so much for sharing at the Wildly Original link party! 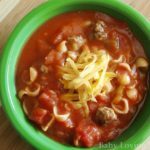 Great dish that wouldn’t last too long, perfect meal that my family can appreciate, and easy to make!